This exciting son of the Dutch Warmblood, Alla’Czar, offers the extravagant gaits coveted by FEI dressage breeders and the scope, form and carefulness sought by top hunter/jumper breeders. Aslan’s gaits, powerful, lofty and elastic, earned him 9s for his trot and canter and 8 for his walk at his stallion approvals at just two years of age. 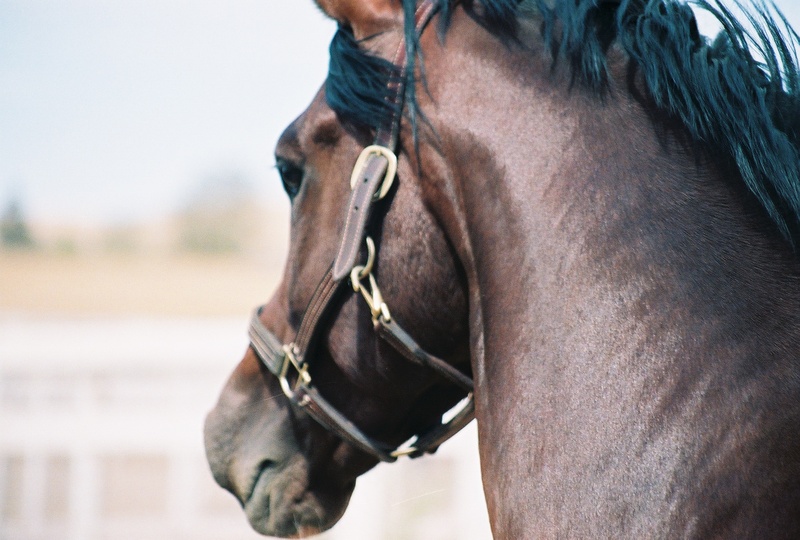 His first foal crop arrived in 2006 and he immediately produced the Reserve Champion Colt of the BWP-North American Tour. Like his mother and his brother (Balta’Czar) before him, Aslan has proven himself to be a prepotent producer who stamps all of his foals with consistent type, strong movement and his extreme athleticism. Jete, Aslan’s Holsteiner dam, is one of few great breeding mares in the United States. 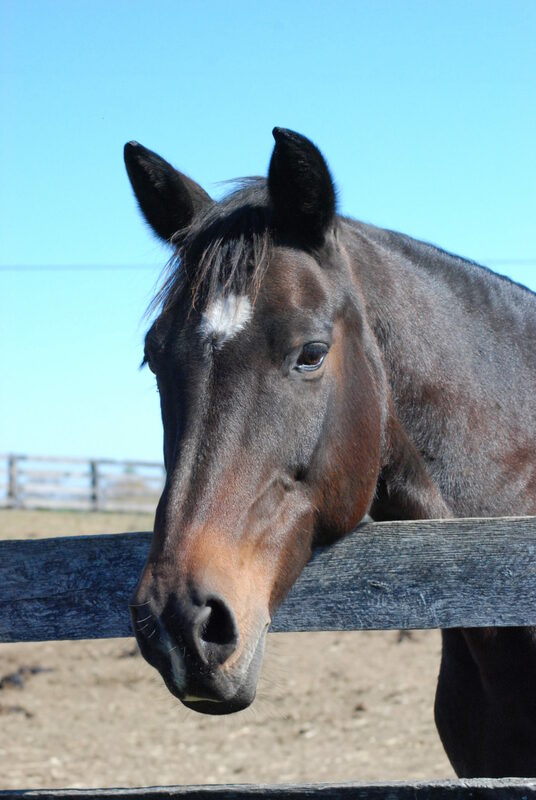 She is the dam of three approved stallions and 100% premium foals (9 in all, thus far). Jete brings two crosses to the stallion that revolutionized the entire Holsteiner breed: Cor de la Bryere. 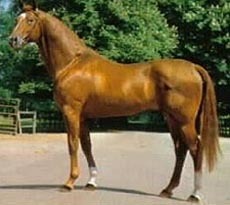 Aslan’s sire is Alla’Czar, the #1 hunter sire in the US. He is by the great Zeus, sire of many international jumping stars such as Midnight Madness (M. Whitaker), Zander Z (J. Lansink), Swift and VDL Marlon; as a the dam’s sire in Tinka’s Boy (M. Fuchs) and Guidam Sohn (J. Lansink) to name a few. With his proven ability to pass on his strong conformation, superior gaits and athleticism, Aslan is truly a versatile, all-around stallion that is an excellent choice for breeders of any discipline. Aslan is by Alla’Czar, a stunningly handsome imported Dutch Warmblood stallion. 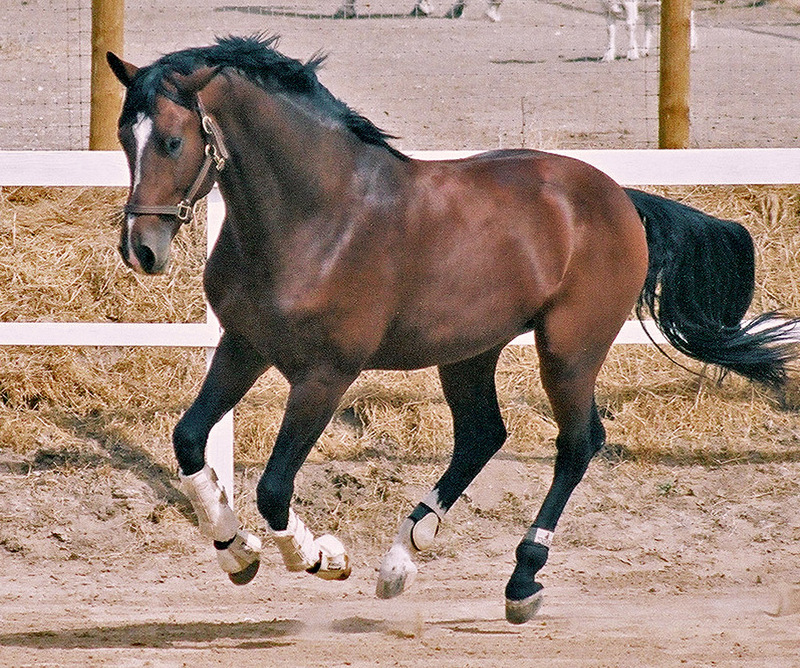 He was shown on the A-circuit as a hunter where he displayed his superlative jumping technique and later he was shown at FEI level dressage where he earned scores in the 70 percentiles. 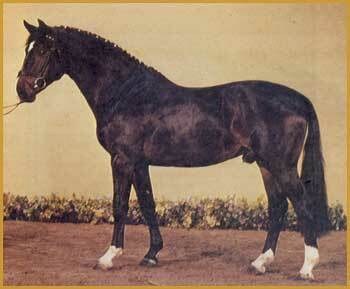 Alla’Czar is the sire of Osczar, the first horse to ever receive the Perfect 100 score in a hunter round. 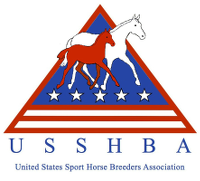 His offspring have won many National and Zone awards and have earned him numerous awards including USEF’s Hunter Breeding Stallion of the Year for 5 consecutive years (2002-2006). He is the only stallion to have achieved that title for that many years. Alla’Czar is sired by Zeus, a paramount producer of show jumpers whose progeny have won almost 5 million DM to date. Just some of Zeus’ highly successful show jumping progeny are Lonesome Dove, Czar, Zymbal I, Zymbal II, Swift, Beach Boy, Zenit, Zyklon, Zarino 4, Zunkunft, Zaandam, Zapateado, Zyklus, Zeno, Zandor Z, Marlon [VDL], and Zaster 5. Today, Zeus is still one of the most sought after sires of show jumpers. Aslan’s dam, Jete, carries the noble blood of Holstein. She is one of few great breeding mares in the United States, being the dam of 3 approved stallions, grand dam to another approved stallion, dam of the ’05 and ’06 US champion BWP foals, and mother to 100% premium offspring (9 thus far). A testament to her breeding, Jete and her offspring are extremely consistent producers in terms of type, temperament and jumping prowess. Her prepotency is attributable to the fact that Jete is line bred (meaning two crosses in the 3rd generation) to none other than Cor de la Bryere, the stallion famous for revolutionizing the Holsteiner breed as we know it today. He was said to exhibit the best jumping bascule and technique ever seen in the equine world. With two crosses to this great stallion, it is no wonder that the offspring of Jete are bold, enthusiastic jumpers who jump consistently in a style befitting this proven lineage. Jete is by Columbus who is the sire of both top dressage and jumper champions, among them the two approved stallions, Coeur de Lion and Cimarron. Columbus’ sire, Calypso II, has been one of the most important sires in both Holstein and Hanover where he sired international competitors and over 40 influential breeding stallions, including the great Contender. It was Calypso II who introduced Cor de la Bryere blood to Hannover, ushering in a new era of Hanoverian jumping breeding. Calypso II himself was a successful Grand Prix jumper under Michael Ruping, but he is most treasured as a valuable and versatile producer, his offspring excelling at both jumping and dressage. His offspring have winnings of 1.5 million deutschmarks. On the basis of the Hanoverian mare tests, Calypso II achieves a dressage ranking of 131, and a jumping ranking of 167. His breeding index on the basis of his competition horses is 132 for dressage and 150 for jumping. 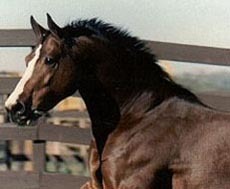 Jete’s dam, the 1988 National Champion Holsteiner filly, Chandelle, is sired by Condino, who was Champion of his stallion inspection in Holstein. Aslan is a modern stallion with correct conformation, an extremely strong topline, near perfect coupling and excellent length of leg. You can count on him to improve the height of your mare, add powerful, uphill movement and an easy-going temperament. He consistently corrects many common conformation flaws breeders are looking to improve: raising the neck connection while lowering the withers, shortening/strengthening back and loin connection, adding substance and bone and adding length of leg. He is a superior choice for the Thoroughbred mare. Aslan crosses especially well with warmblood mares of rectangular type that require length of leg and shortening of the back without fear of sacrificing power or movement. Aslan has sired premium, site champion and Top 5 foals (nationwide) which are now proven under saddle or as quality reproductive stock.